It is elegantly crafted of classic chrome and densely filled with silvertip badger hair. The handle is designed for comfort and durability. 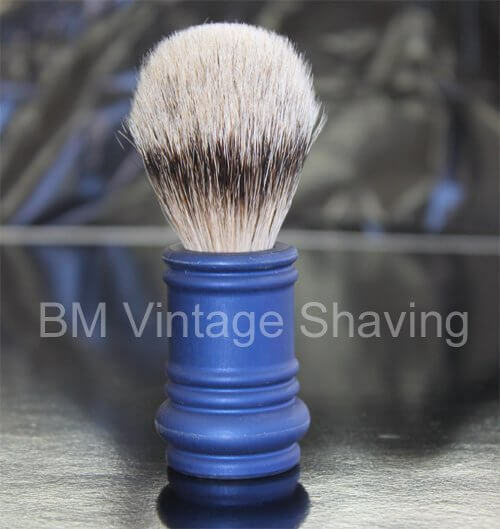 This Merkur Shaving brush has that exceptional blend of style and performance. This Merkur Shaving Brush features a Barber Pole style handle to match the popular Merkur 38c Safety Razor. It is elegantly crafted of classic chrome and densely filled with silvertip badger hair. The handle is designed for comfort and durability. 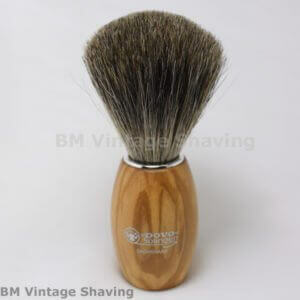 This Merkur Shaving brush has that exceptional blend of style and performance. The Pure badger hair generates a rich warm lather, bringing sufficient water to the skin as it softens and lifts the beard and gently exfoliates for a comfortable shave. 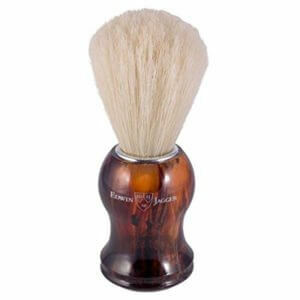 This Shaving Brush is ideal to use with either shaving soaps or creams.